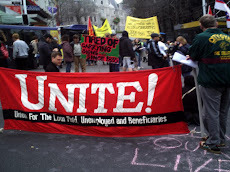 Unite Waitemata Community Branch : Australia; Tax Mining Boom, End Poverty. 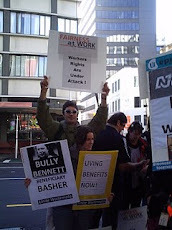 Stand Up is a Sydney - based, Australian organisation for unemployed rights. Here is their June newsletter. Since it came out, Prime Minister Rudd has been replaced by Julia Gillard, who has pulled back from any significant increase of tax for the mining companies. 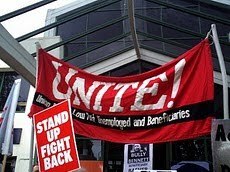 Stand Up argued that the tax was a step in the right direction, but that the money should have been spent on social services such as an increased unemployment benefit when so many are out of work. "We agree with the Rudd government that ordinary people deserve to benefit from the mining boom. At the moment all the profit goes to multinationals who make billions of dollars in profit. They pay tax but try to pay as little as possible. We therefore think that Rudd’s new tax is a step in the right direction. Our issue with the Rudd government is not that he is taxing mining companies. The issue for us is where the money will go. He says the money will go to infrastructure such as port facilities and tax relief for small business. Why can’t we get the benefit of the mining boom? It has been a long time since we have received a significant pay rise. Pensioners received a well earned pay rise last year as part of the government’s stimulus package. The pay for pensioers is still not good enough. 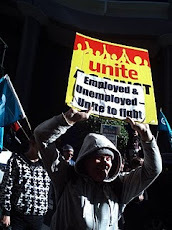 But both Rudd and then Liberal leader Malcolm Turnbull rejected any idea that we , the unemployed should get one also. It has always been a struggle to survive on the dole. But prices have risen especially on essentials such as food and rent. But governments not only don’t care, they want to make us suffer. 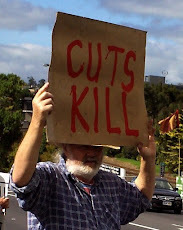 They kow tow to middle class pressure groups and make the unemployed pay so they can be economically respectable. They argue that what they are doing is concentrating on providing jobs, solving unemployment, as opposed to supporting us on the dole. They that there is low unemployment. But what they consider “low” is five percent of the workforce which is hundreds of thousands. 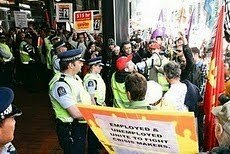 If all the unemployed were put into one city it would be bigger in population than Greater Wollongong. They might offer jobs but that does not mean that they will employ us!. There is discrimination against older unemployed. Those over fifty simply don’t get jobs irrespective of how capable. Most over fifty are waiting to be elligiblon the the pension. No-one should be forced to live in poverty. "